The Barclays iPath S&P 500 VIX ST Futures ETN (VXX) was launched in 2009. It was designed to be used as a way to hedge positions against the kind of volatility experienced over the previous year. It was always best suited, however, for traders who wanted to profit from short term volatile moves. In 2009 it was unclear how successful the VXX would be so it was only given a ten year life expectancy. You see, while it trades like an ETF, the VXX is structured like a debt instrument with a maturity date. That maturity date is January 30, 2019. 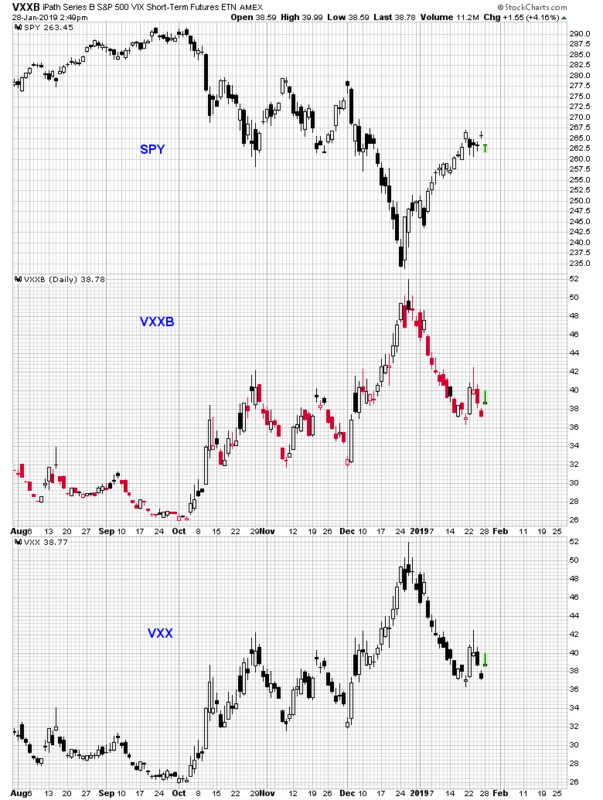 The VXX turned out to be a very popular trading vehicle with strong daily volume and large market capitalization. Barclays did prepare an indentical instrument in 2018, the iPath Series B S&P 500 VIX Short Term Futures ETN (VXXB), to take over for the VXX when it epired. It has been gaining in popularity but its daily volume and net assets are well below those of the VXX. The VXXB has a 30 year expiration date. So what happens when the VXX goes away in a few days? Barclays will have to pay out cash to the remaining holders of the VXX. This is what could casuse the volatility crash. 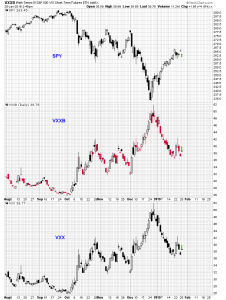 Ideally, traders will simply liquidate positions in the VXX and simultaneously initate new positions in the VXXB. This could cause the VXXB to see a jump. At this point in time, the VXX is trading 17 million shares and net assets are 880 million. The VXXB is trading 11 million shares and its net assets are 220 million. The transition from the VXX over to the VXXB is not happening in any big way, with only days left before the expiration. I am not an expert in options or the structure of complex ETF’s like the VXX and the VXXB, but it seems like this event could have an impact on the funds involved and broader volatlity space. It doesn’t seem to be getting a lot of attention in the financial press or the Twittersphere, so any additional information, comments or corrections by readers would be appreciated. In any case, watching the VXXB carefully over the next several days should give us some sense of how this plays out.